For 19-year-olds in London in 2016, there was a 15 percentage point difference (attainment gap) between the proportion of pupils who had been eligible for free school meals (at age 15) and the proportion of all other students attaining Level 3 qualifications. * For the rest of England, the attainment gap was almost twice as big – 28 percentage points. The attainment gap has fallen in London (from 19.5% in 2006 to 15% in 2016) over the past decade, while in the rest of England it has not changed significantly. 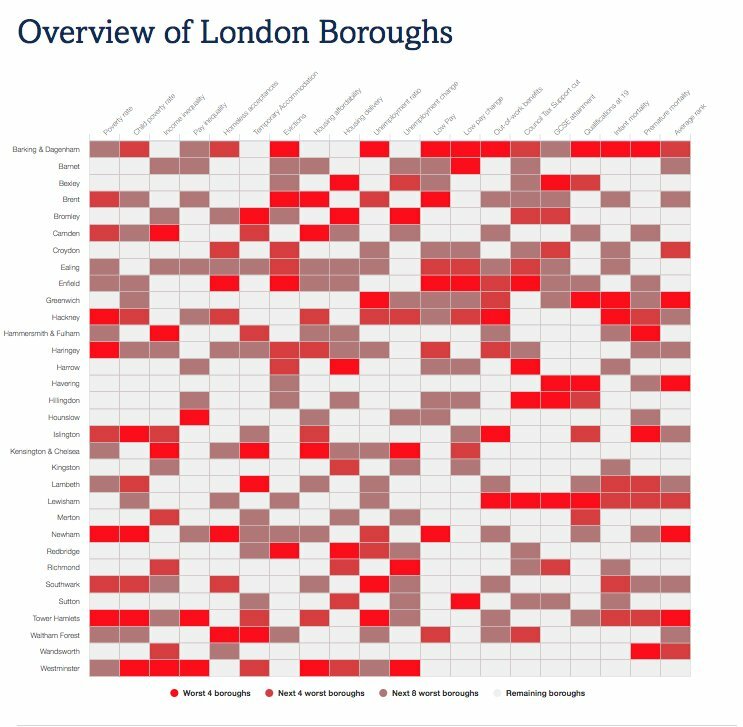 As discussed in 10.2, the shrinking of the attainment gap is seen as a key factor in the ‘London effect’. 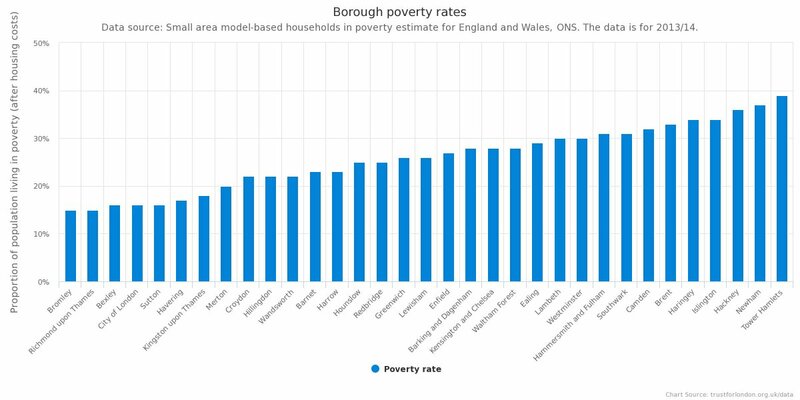 * In the London Poverty Profile 2015, this indicator used ‘proportion lacking five A* – C GCSEs including maths and English’ which cannot be used this year (see footnote 4). This year’s graph shows the attainment gap (in percentage points) between pupils eligible for free school meals and all other students over time, in London and England. It is therefore not directly comparable to the graph above.